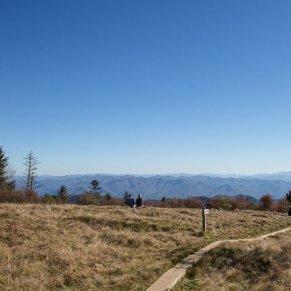 It’s always nice to have a major payoff at the turnaround point, and the 6.7 mile Lonesome Pine Overlook trail definitely delivers that. 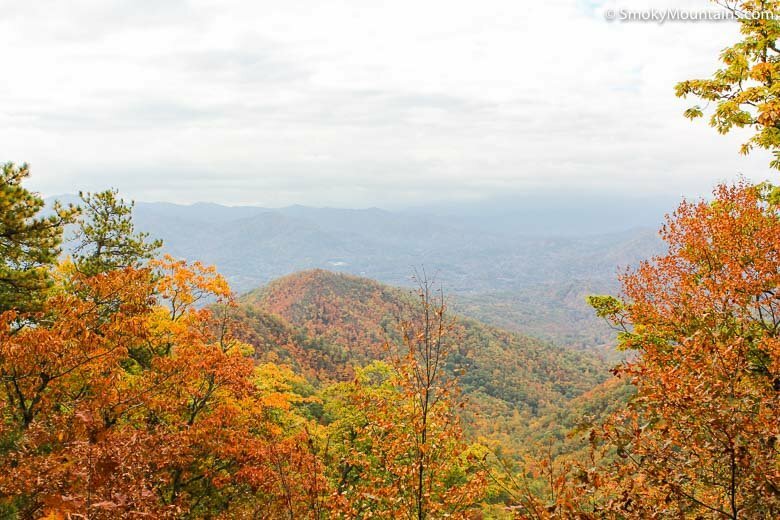 The ridgetop views of the southern Smoky Mountain highlands and valleys are unforgettable, and you’ll often have them to yourself. 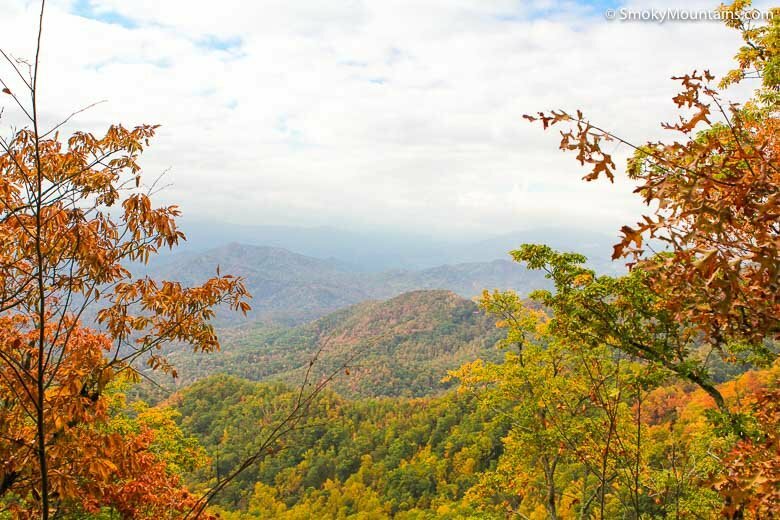 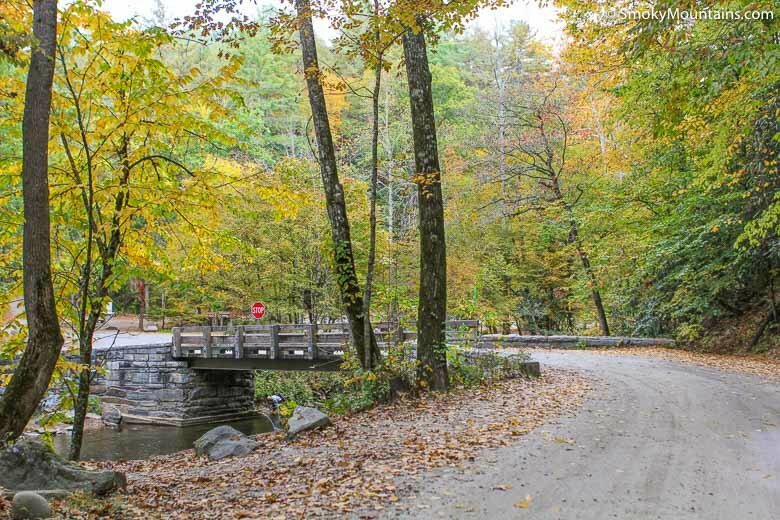 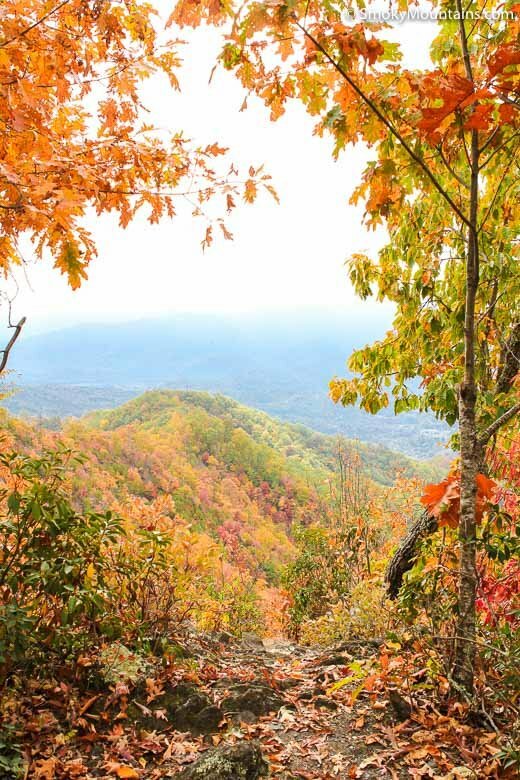 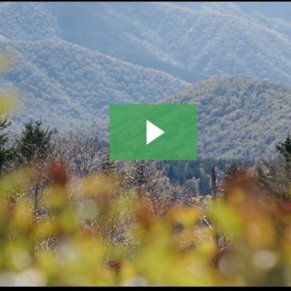 Looking to catch some of the very best views in Great Smoky Mountains National Park? 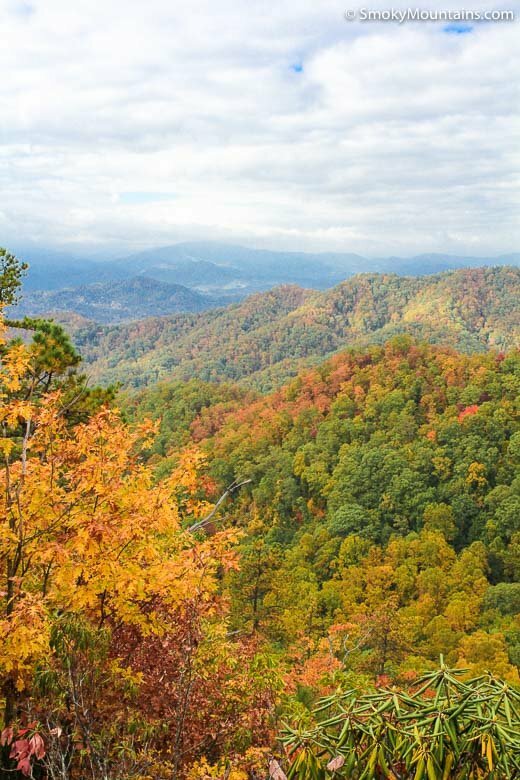 Then put in the moderate grunt work to reach the Lonesome Pine Overlook, an awe-inspiring vantage along the Noland Divide Trail not terribly far from the heart of Bryson City, North Carolina. 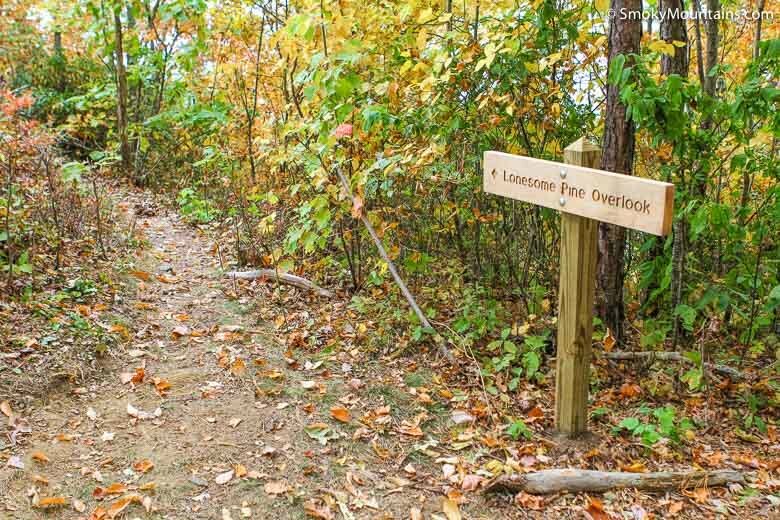 The 6.7-mile out-and-back route up to the overlook involves some 2,300 feet of elevation gain. 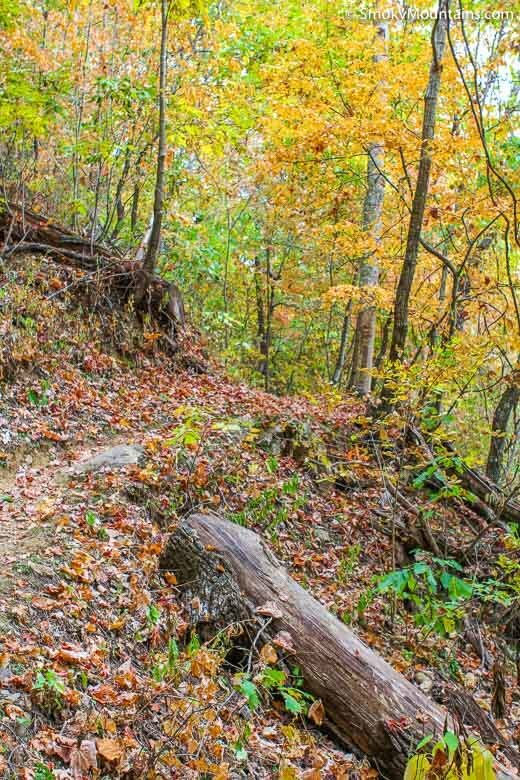 It’s the biggest climb of the nearly 12-mile-long Noland Divide Trail, but the ascent’s spread out enough so that the grade isn’t brutal: On average you’re gaining shy of 700 feet per mile. 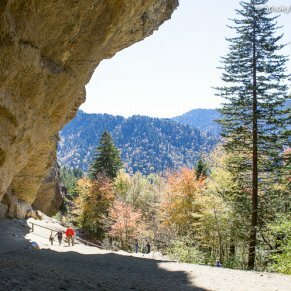 You’ll probably want at least five hours for the endeavor, perhaps more if you’d like to really linger at those mighty vistas. 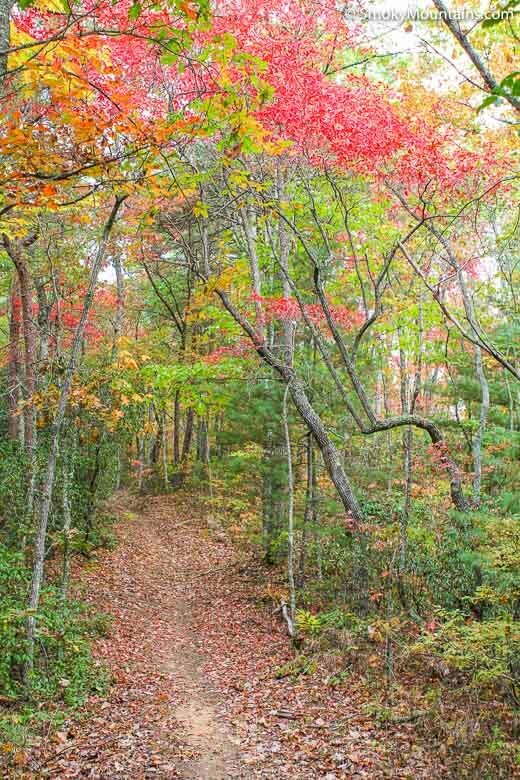 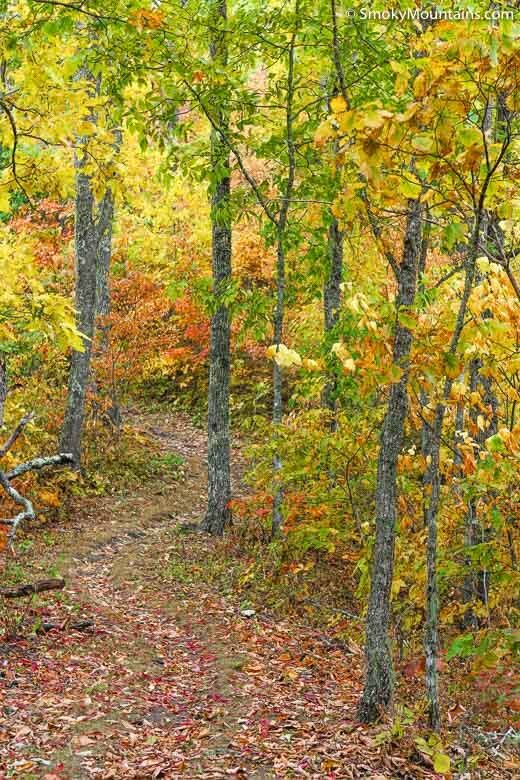 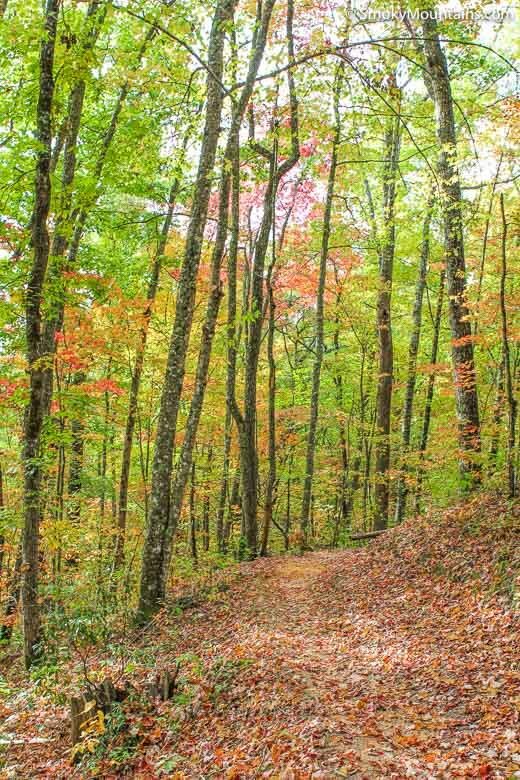 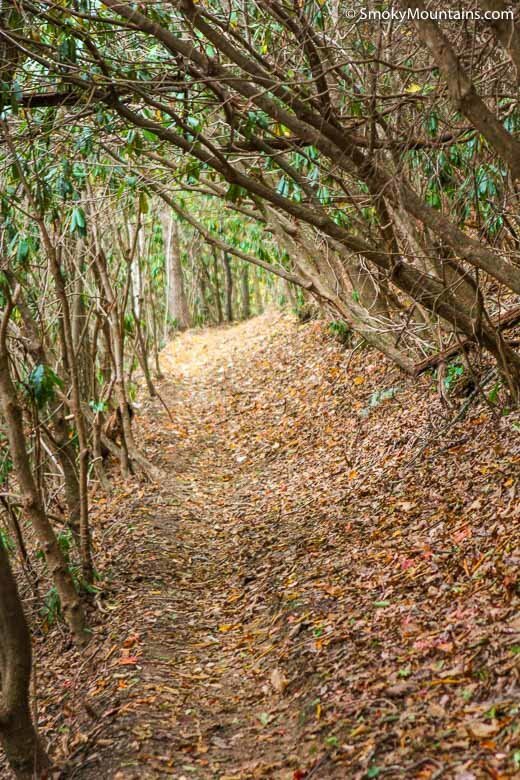 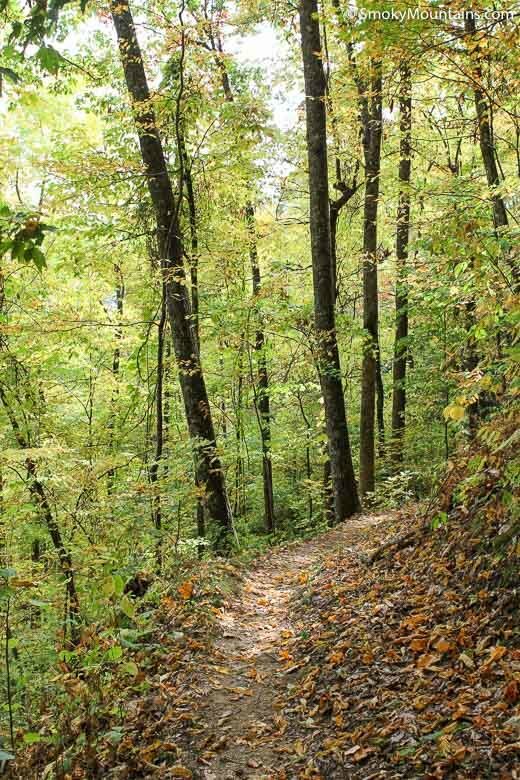 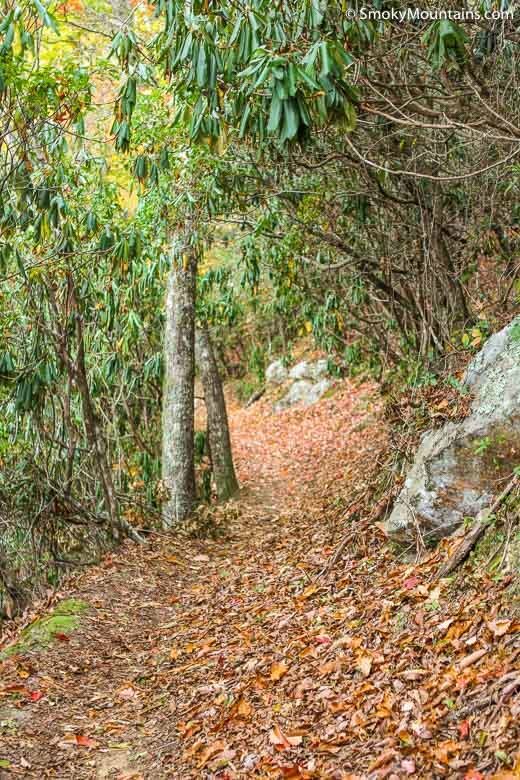 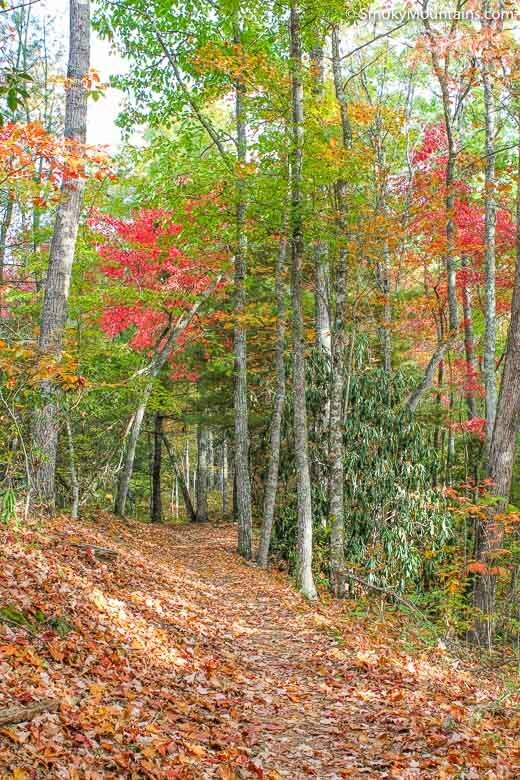 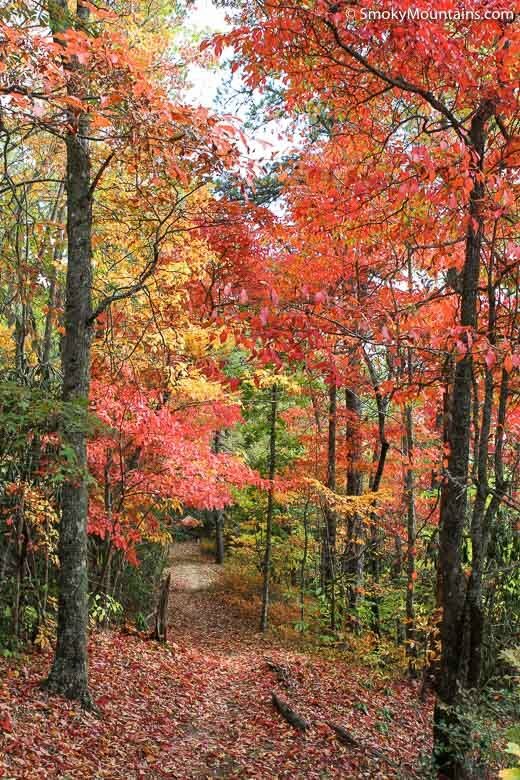 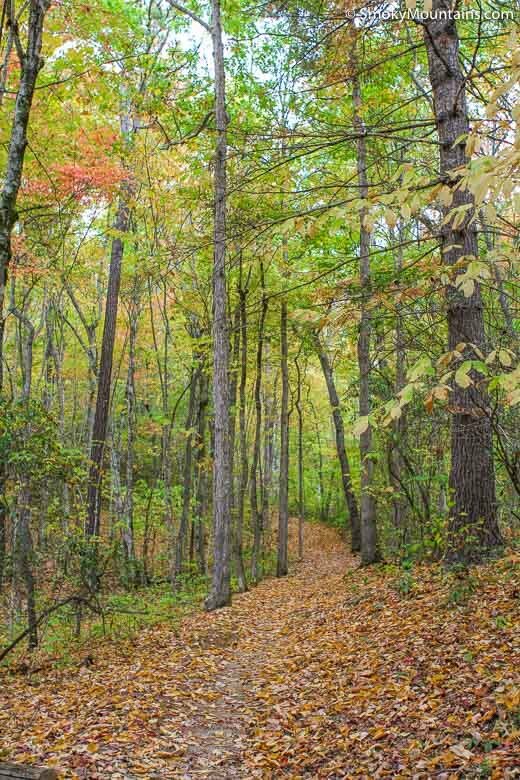 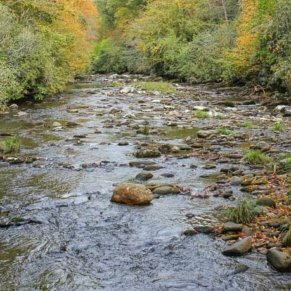 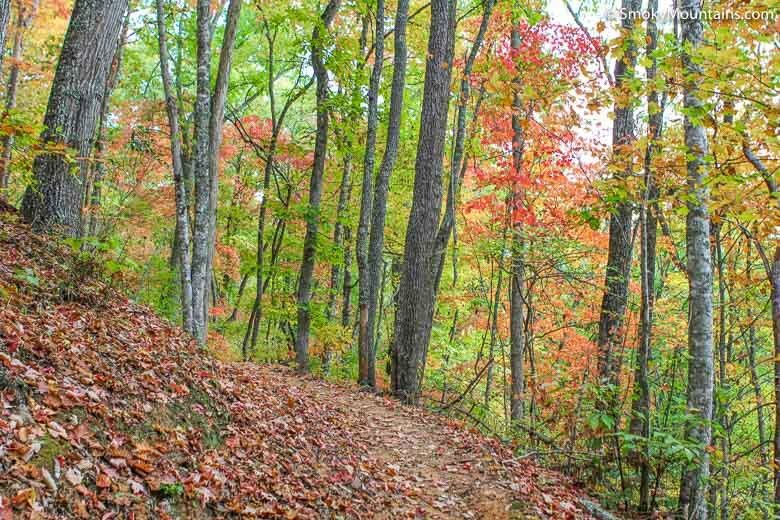 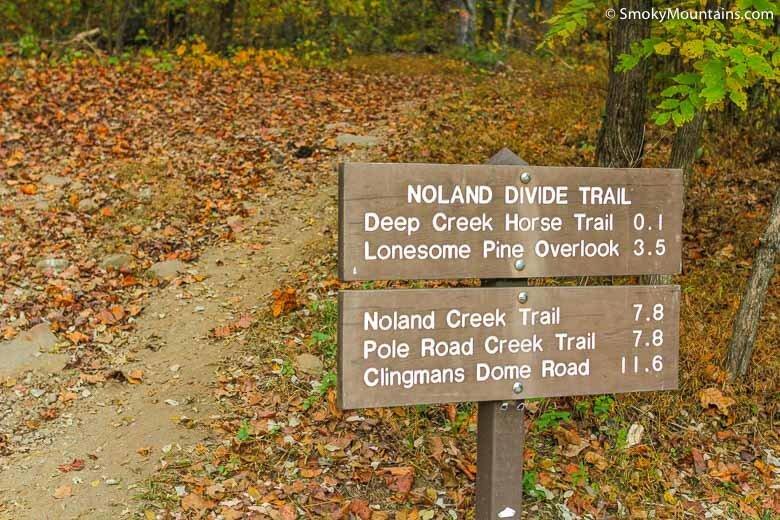 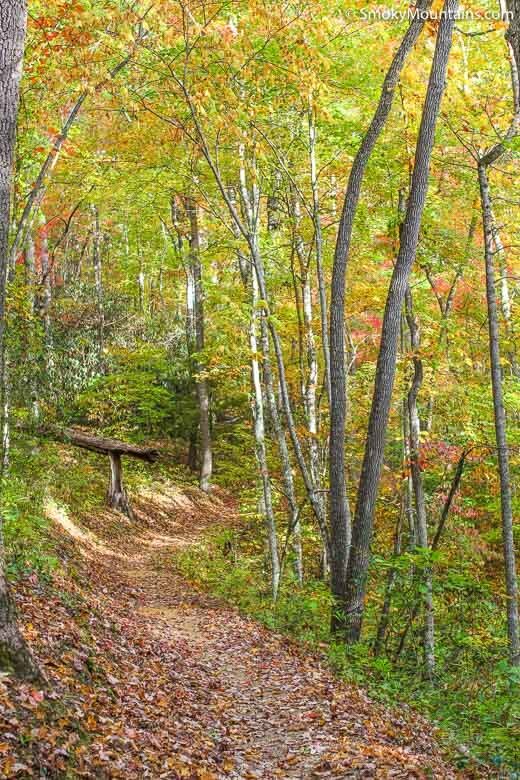 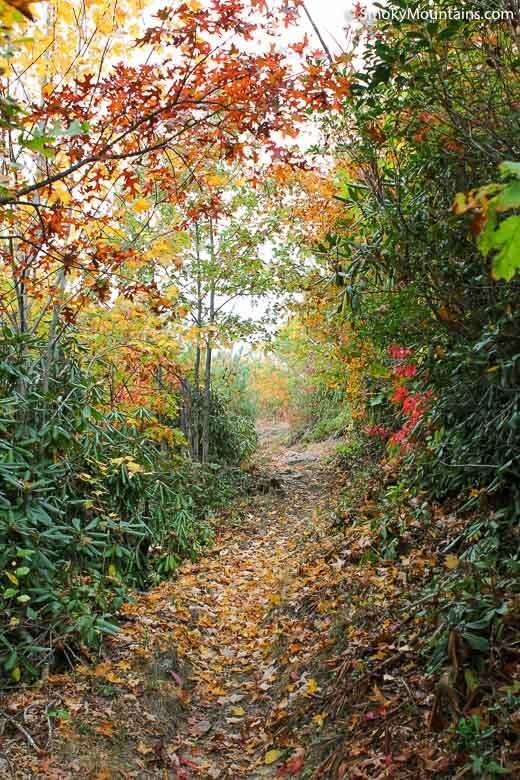 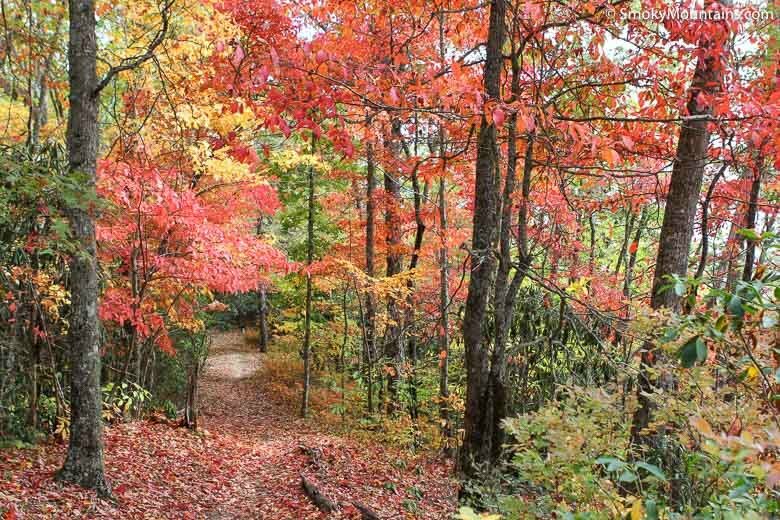 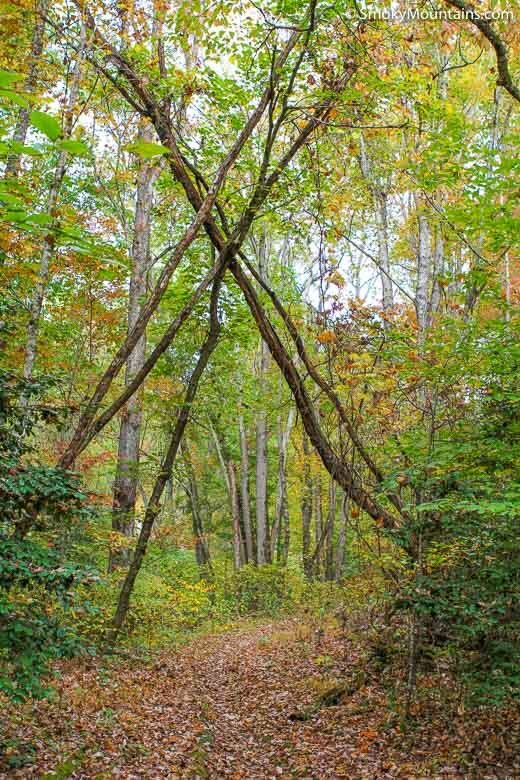 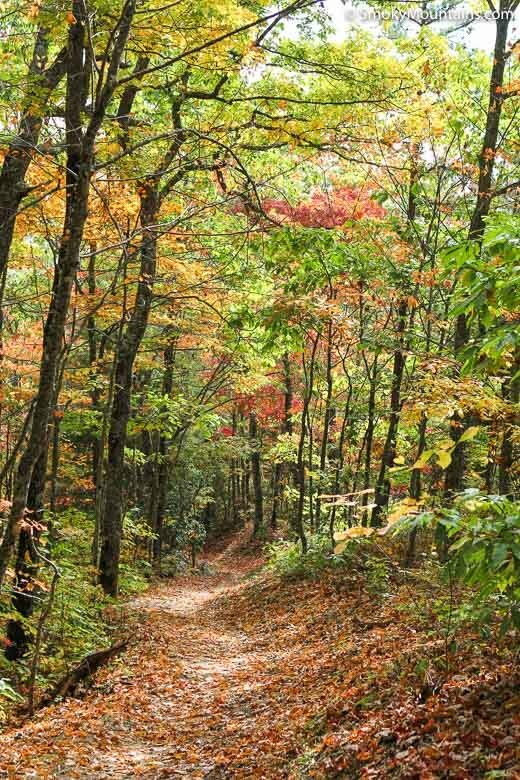 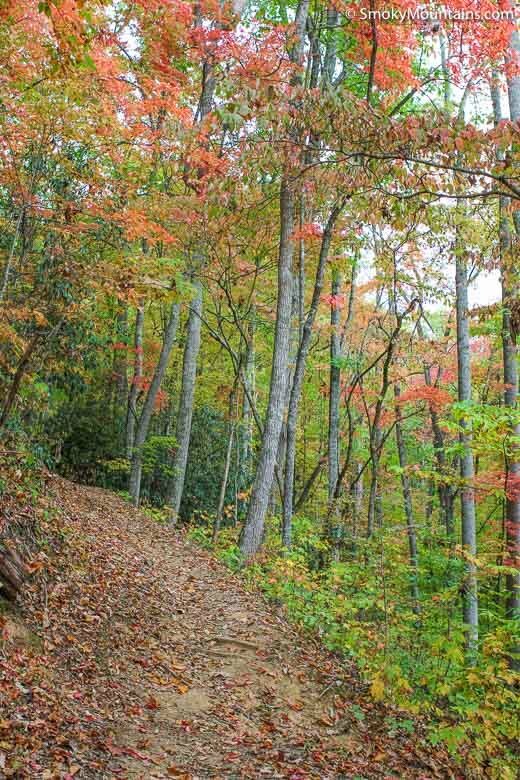 The Noland Divide Trail’s southern trailhead lies across from the Deep Creek Campground just inside Great Smoky Mountains National Park’s southern boundary. 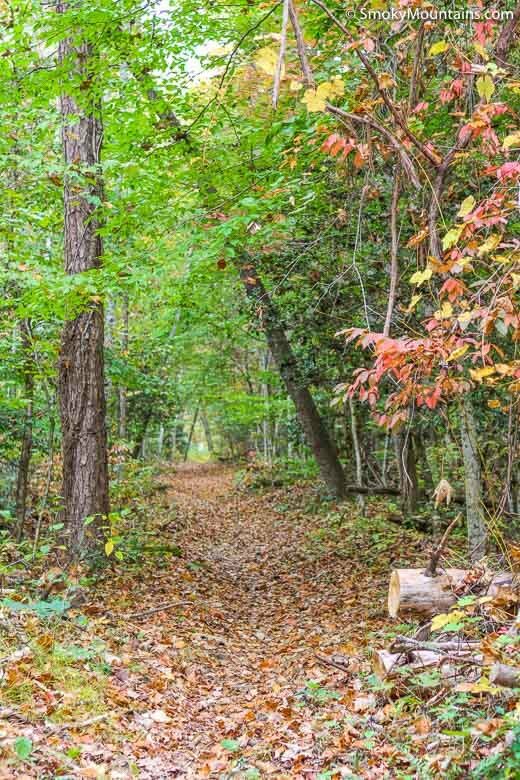 Soon after beginning, the trail crosses Durham Branch in hardwood forest and then begins switchbacking up the flanks of Beaugard Ridge. 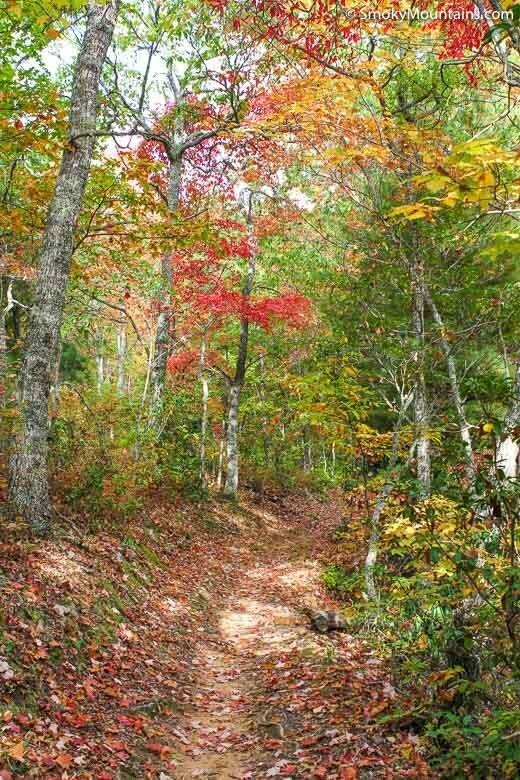 Beaugard Ridge forms a southeastern fork of the Noland Divide itself, which is a lengthy crest between the Noland and Deep Creek drainages. 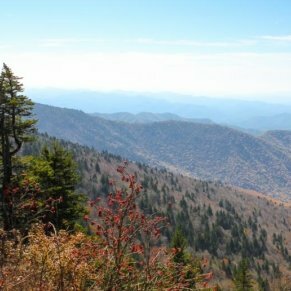 At its northern end, the Divide joins the main spine of the Smokies near Clingmans Dome. 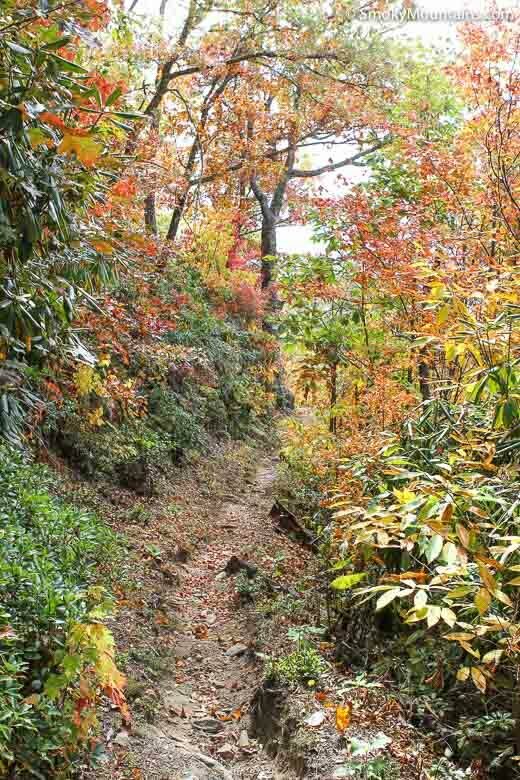 Some three miles in, Beaugard Ridge narrows to a razorback. 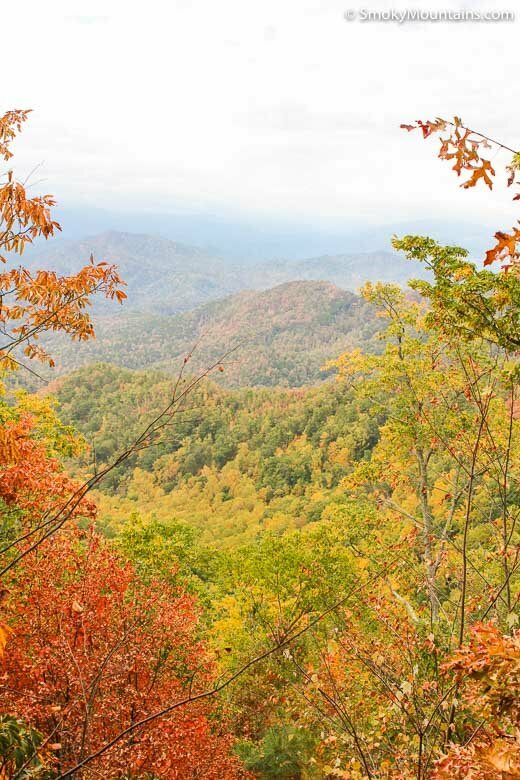 Here the views from its dry pine-oak woods expand dramatically. 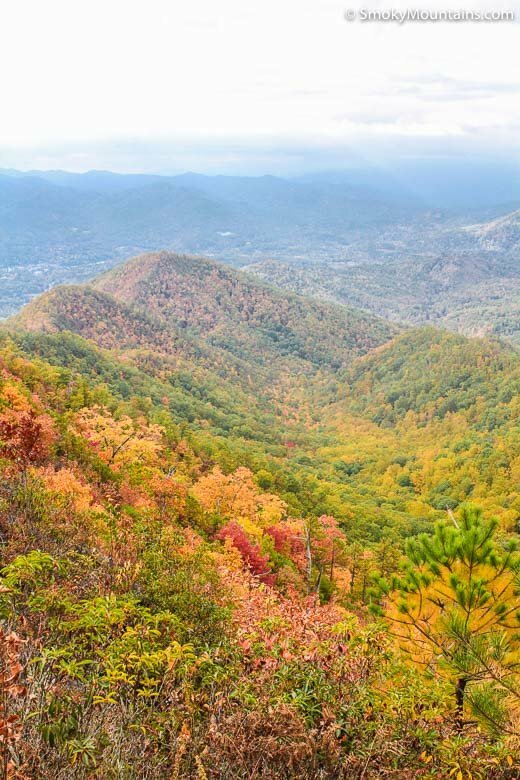 As you approach your destination, you’ll have some stirring prospects east over the Deep Creek basin to Thomas Ridge and westward toward the Nantahalas. 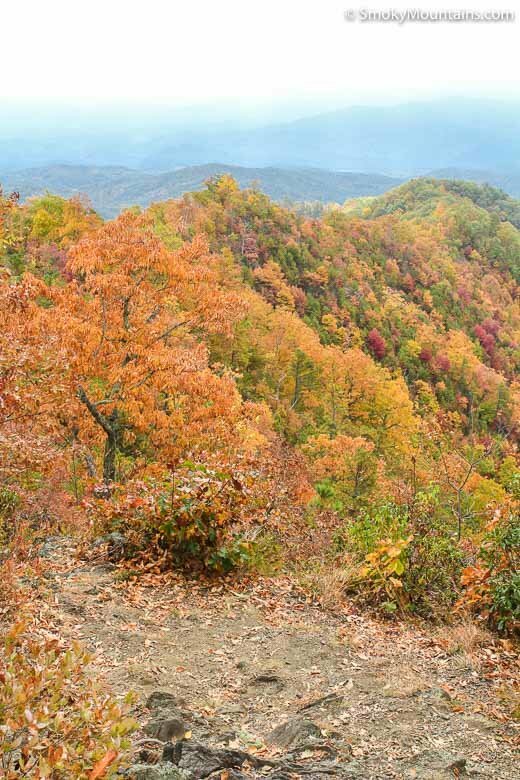 Some of the sightlines from this stretch of ridge actually outshine the ones from Lonesome Pine Overlook itself. 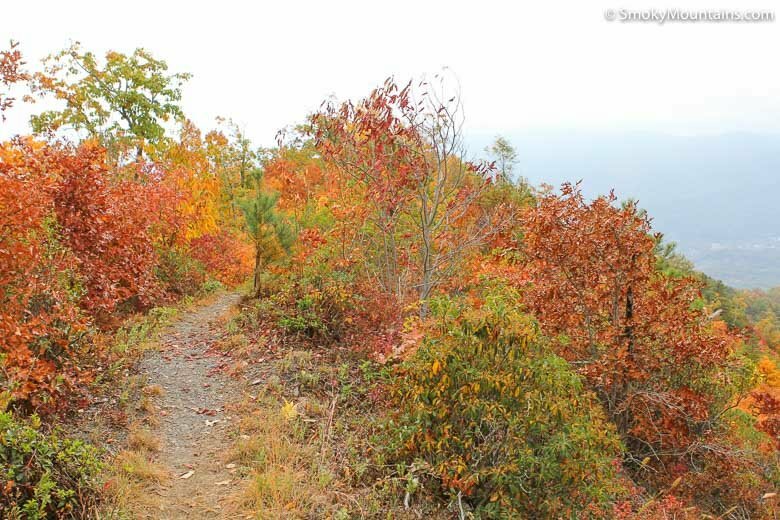 You’ll see the knob of Lonesome Pine Overlook loom ahead of you along the ridge spine. 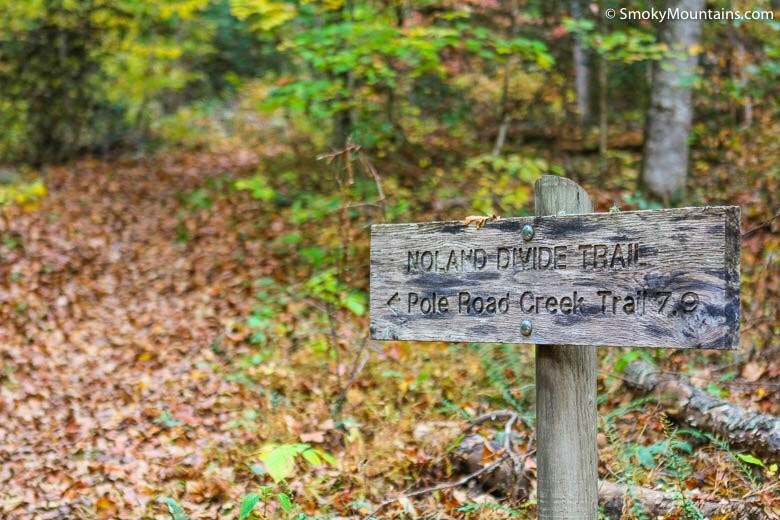 A wooden signpost directs you to the promontory via a spur path. 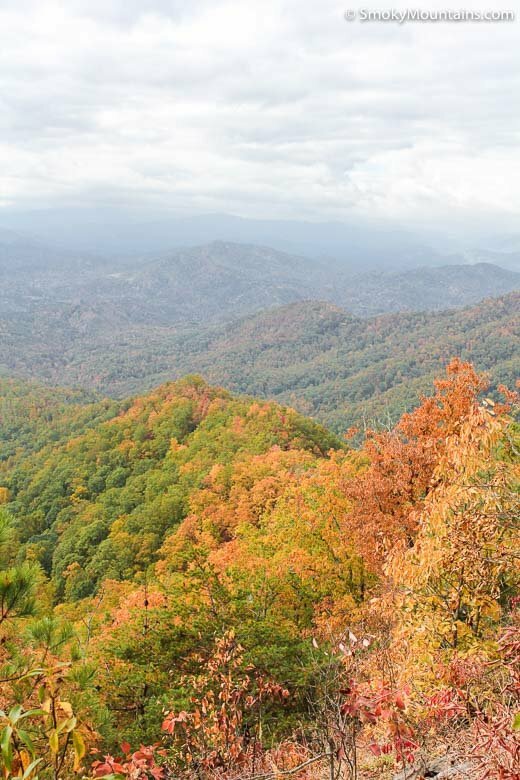 You couldn’t ask for a better lunch spot—not with the grand panorama southward to Bryson City in the Tuckasegee Valley and westward over the lowlands of Fontana Lake to the Nantahala skyline. 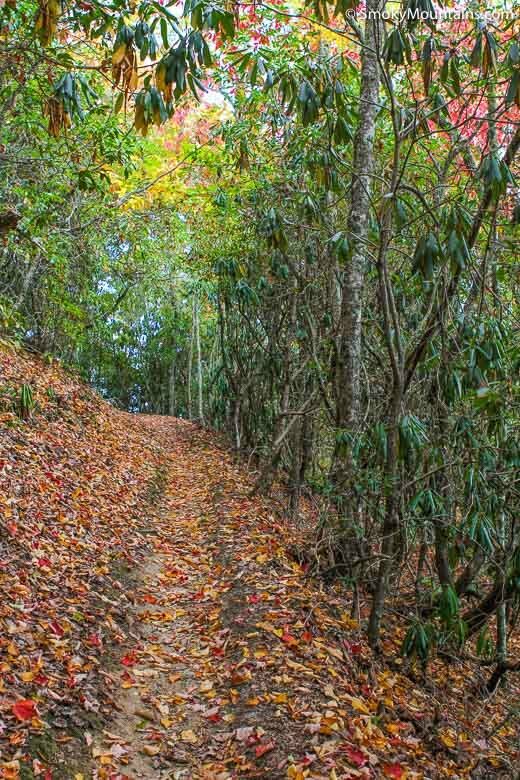 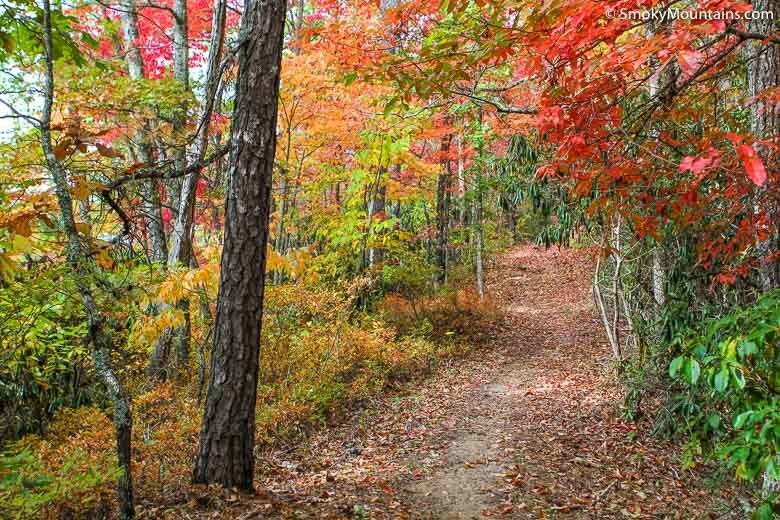 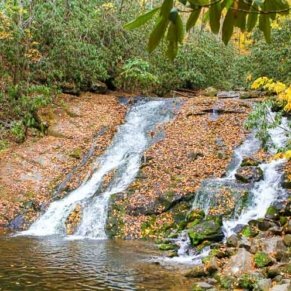 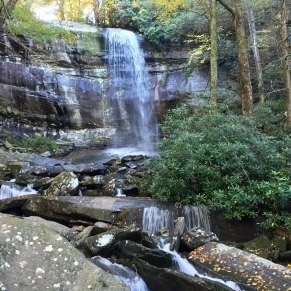 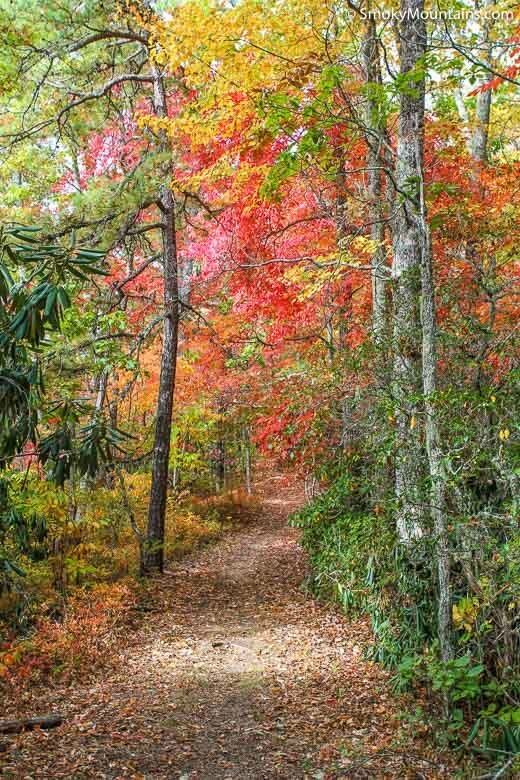 -Alternatively, you could head north from the Overlook to Upper Sassafras Gap along the Noland Divide, then east along the Pole Road Creek Trail to the Deep Creek Trail. 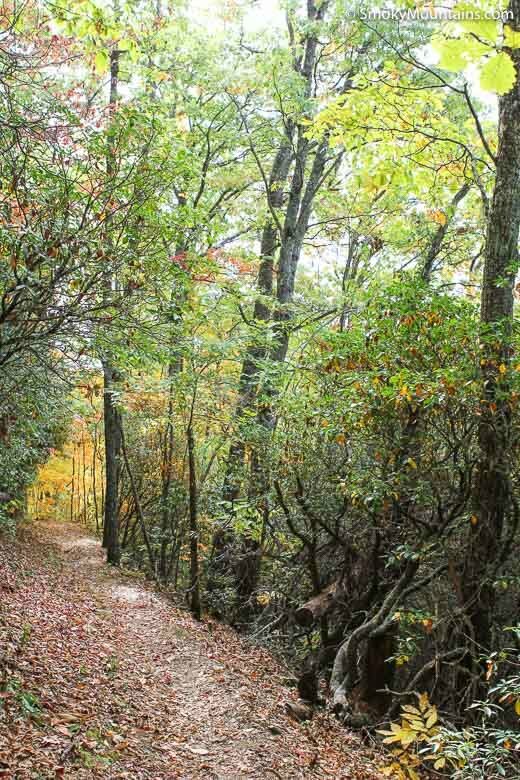 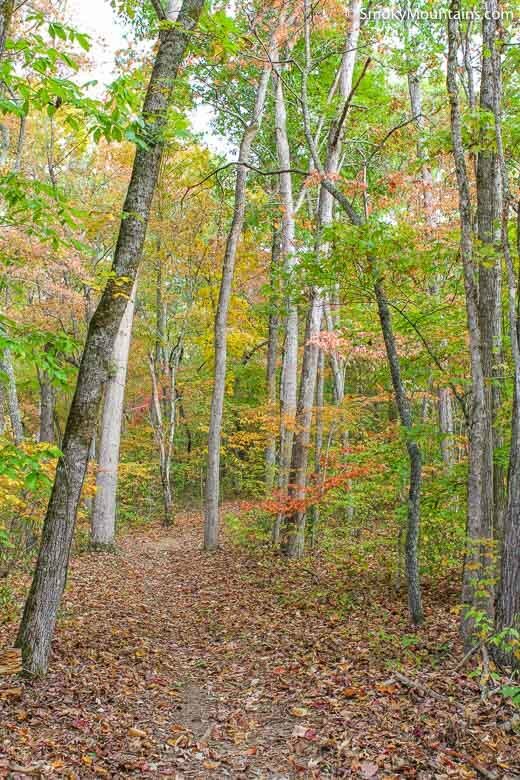 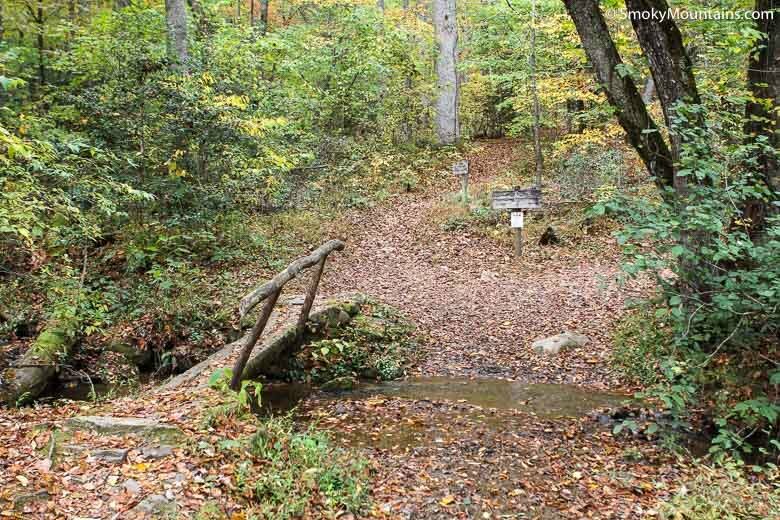 Taking the Deep Creek Trail south, you’ll reach your original starting point. 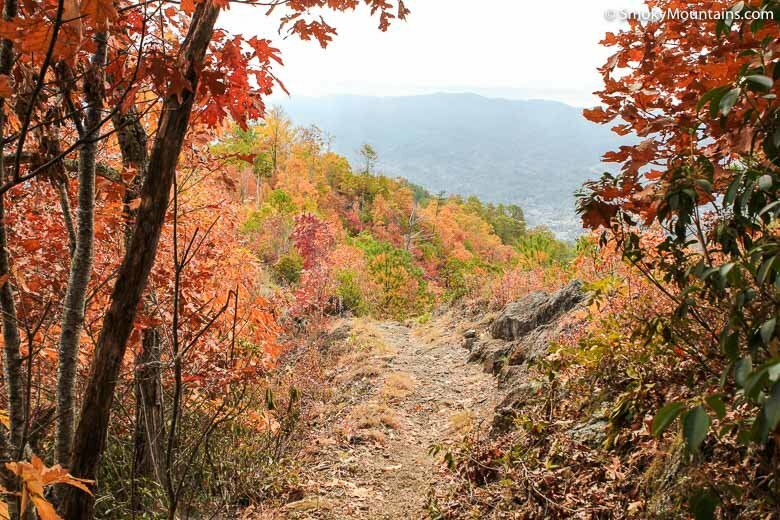 -Each season along the Noland Divide Trail to Lonesome Pine Overlook offers its own charms. 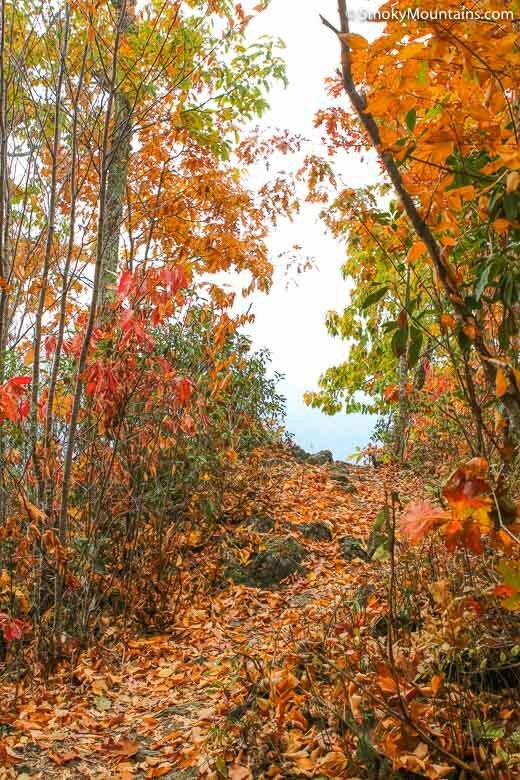 Watch for spring wildflowers (especially on the lower-elevation stretch), or savor some wonderful autumn colors in the wide-open views from Beaugard Ridge. 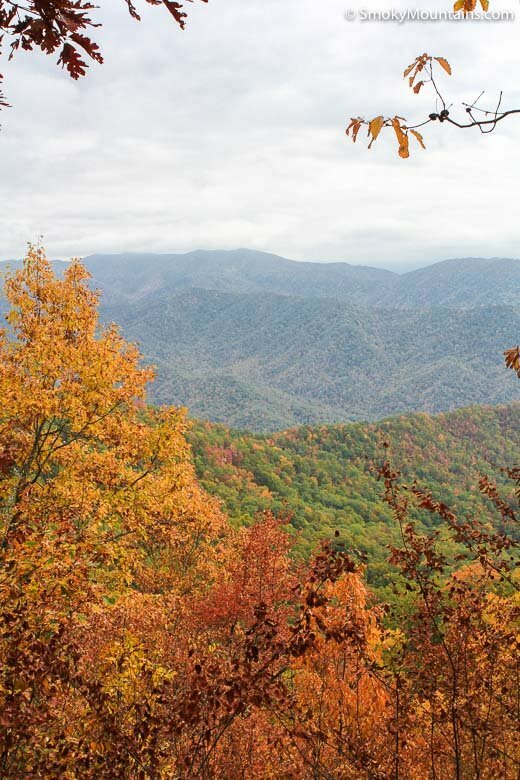 Winter promises even broader vistas, given the barrenness of the ridgeline’s hardwoods.